Nokia N8 Blog: How To Restore Ovi Music Unlimited Licenses After A Hard Reset? 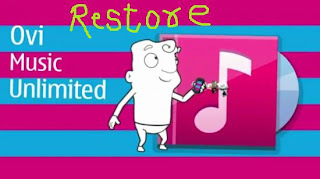 How To Restore Ovi Music Unlimited Licenses After A Hard Reset? It took me a really long time restoring the Ovi Music Unlimited licenses for all the music on my phone. A hard reset formats the phone memory but leaves the mass memory untouched in which case, all the Ovi Music licenses are lost. For some reason, even the phone is no longer recognised as a OMU device anymore. After a hard reset, your music library successfully adds all the music from the mass memory, however, on trying to play them, the music player tries to retrieve the license and fails to do so and gives an error that "Your device is not registered for Ovi Music Unlimited" or similar such errors. I believe you will definitely have a registered PC along with your Nokia N8 for (OMU) Ovi Music Unlimited. Now delete all the folders present in "Nokia N8-00\Mass memory\Music" and again try to sync your phone with the PC's Ovi Music Player or simply transfer all the music from the PC to your phone using Ovi Music Player. You will now be able to play all your old downloaded music again on your phone. The Ovi Music Store widget is now no longer available on the phone and you may not be able to download any new music on your phone as you will get an error that the device is not registered for Ovi Music Unlimited. Visit the mobile version of the Ovi Music website using the internal browser of the phone. The URL is "http://buymusic.nokia.com/sd". Now login to the website using your OMU credentials. Select a song to download, before you download, play the 30 seconds preview of the song completely. You should now be able to download new songs as part of your OMU subscription. Note: Before you try to use the above solution, make sure you do not have any al-a-carte song credits in your Ovi account. If you have any, exhaust them first before trying solution above. As per the Nokia CareLine, if you have any song credits in your account apart from OMU subscription, the OMU subscription will not get activated unless you exhaust the additional song credits. 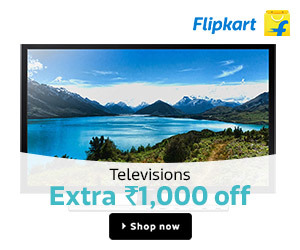 If you need any help, do post in your queries and comments.